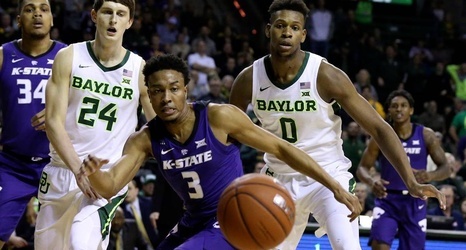 If someone tried to compare Kansas State basketball players to Justice League super heroes it would be difficult to find a match for Kamau Stokes. The titles of Batman and Superman would go to Barry Brown and Dean Wade. Makol Mawien seems like he could be Cyborg. And several players have enough athleticism to claim The Flash. But Stokes is lost somewhere in the middle. The senior guard is too big of a contributor to be Aquaman or the Green Lantern, but he’s also not as popular as the team’s two primary stars. Such is life for the third member of K-State’s senior class.